The Shoreline Walk is a sequence of five connected spaces, placed between the old city, and the new land-filled area. The concept design suggested a new line which guides and reveals elements of history and forms a connective spine. 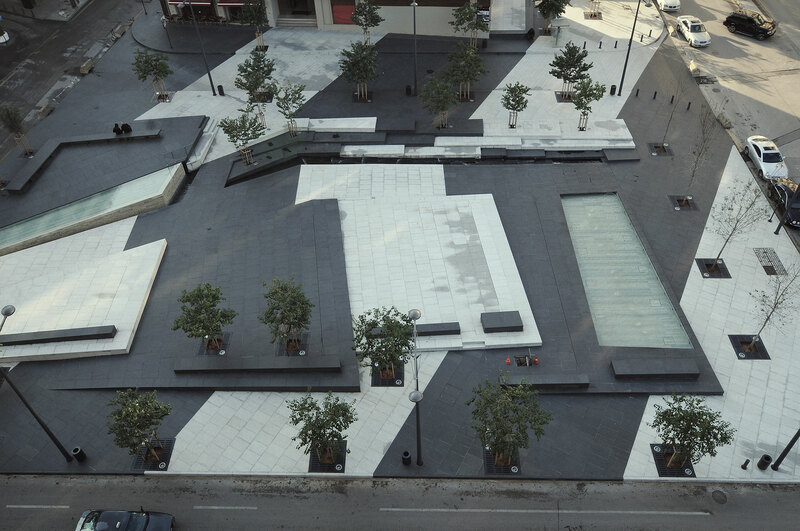 A continuous white limestone line marks the ground, links the five open spaces and re-establishes an East-West connection between the places. 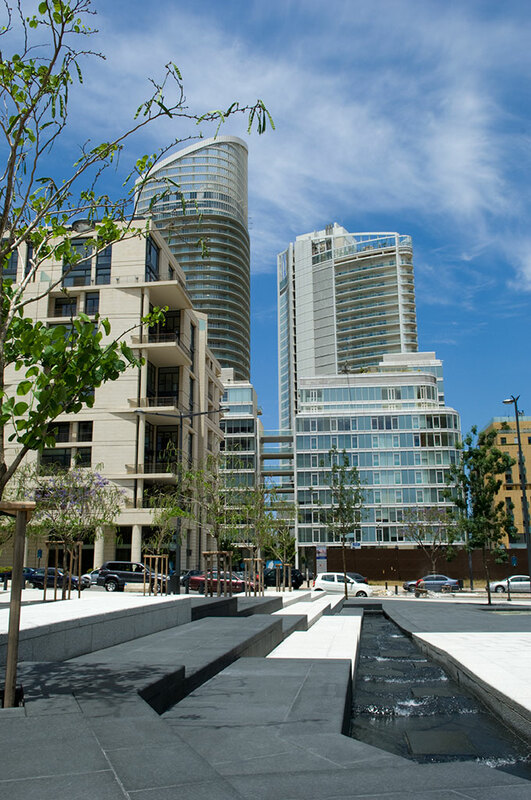 To the South of the promenade, light colored paving and trees signify ‘dry land’, as it existed before the war. To the North, open areas of dark granite, boardwalks and timber pergolas, water features and rainfall mark the sea’s previous position. The Shoreline Walk inspired by the historic Beirut Corniche will reconnect and continue it. All Saints Square (2,473 sq m) is treated as an intimate, self contained space, lowered to the original ground level adjacent to the All Saints church. 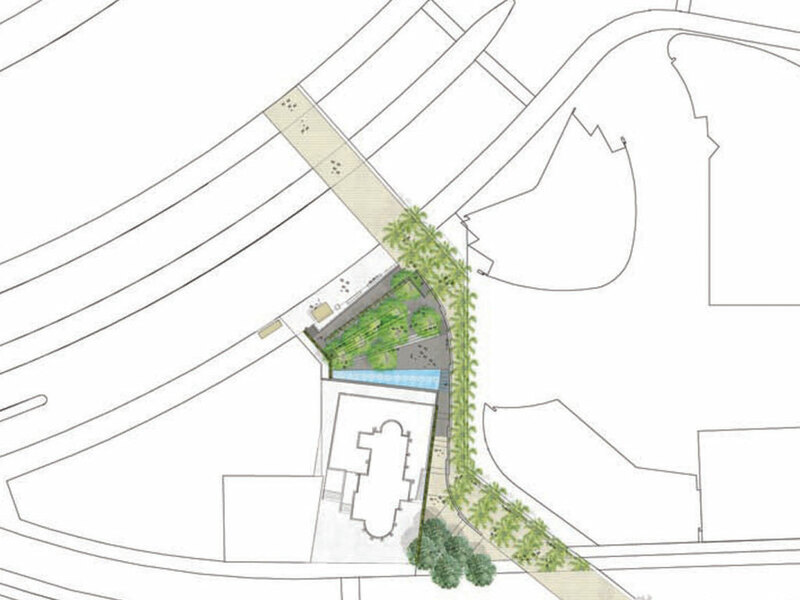 The square is enclosed by soft green textured walls and sheltered from traffic, creating a haven of textures infused with the summer aroma of jasmine. 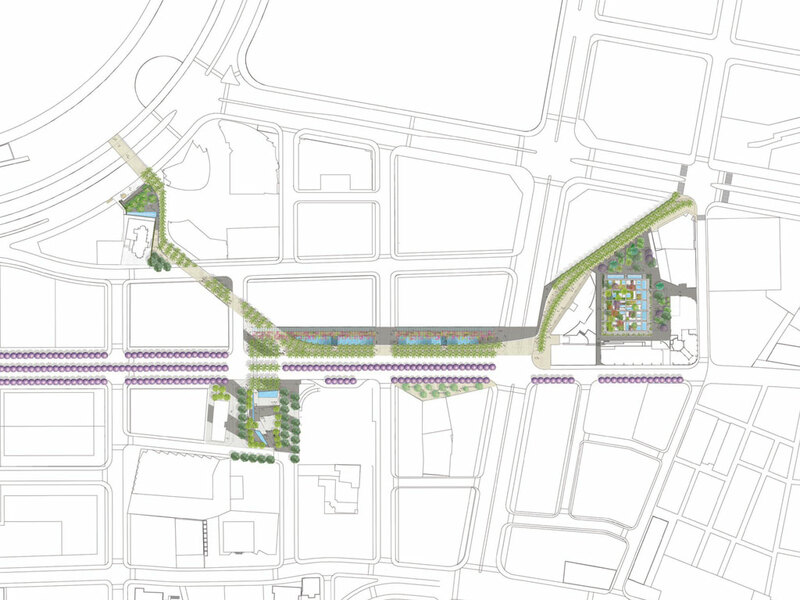 Zeitouneh Square (2,413 sq m) provides a key link to the city. 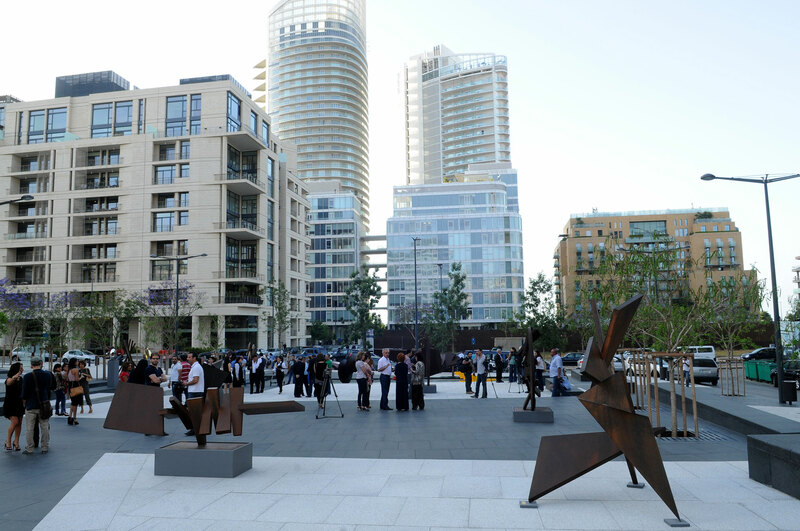 The square celebrates a modern Beirut and is a place for sculpture exhibitions and other cultural events. 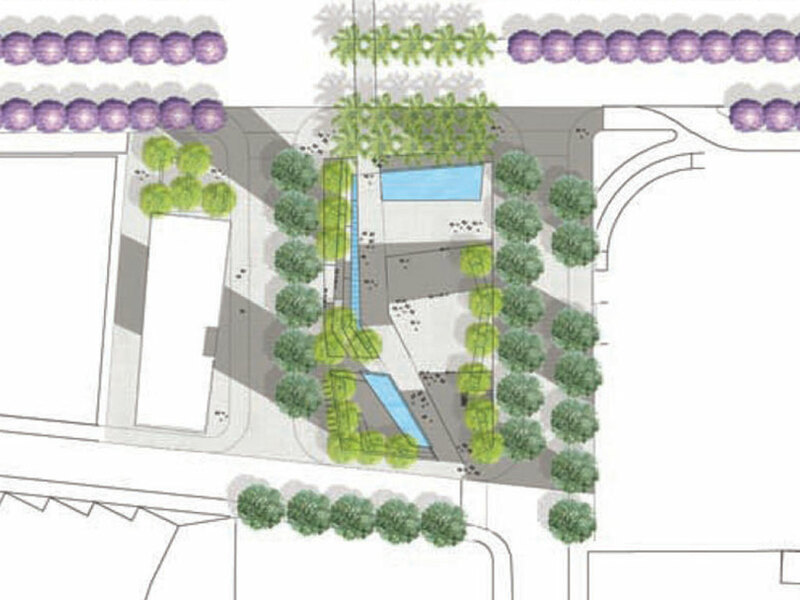 The surface extends across the roads to the surrounding buildings, unifying the site to one large space. 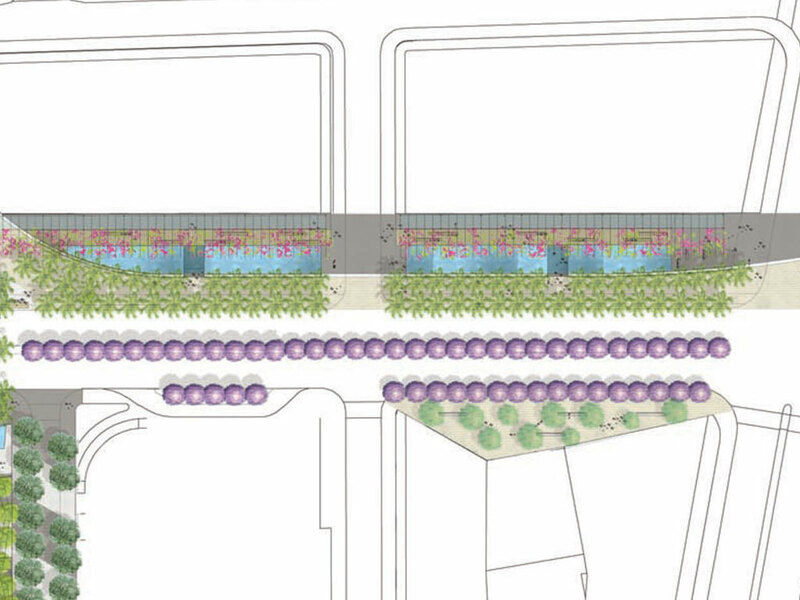 Shoreline Gardens (4,508 sq m) site of the historic Avenue des Français, provide a contemporary promenade. A long linear water feature and pergola unite the space, creating water movement over an undulating surface and dappled shade to sit below, re-establishing this area as a meeting point. Santiyeh Garden (4,535 sq m) and Promenade (3,275 sq m), surrounded by buildings on all sides, provides the perfect setting for a green oasis inspired by Middle Eastern Paradise Gardens. The garden, an ancient cemetery site, encourages a contemplative atmosphere. At a later phase, it will be extended into Marfaa cadastral starting with Jean-Paul II Square, prolonging into the Ottoman Wall site.